Twenty-six years ago, on March 25,1971, the army was sent in to put down a rebellion in what was then East Pakistan. The move proved a turning point in this country’s history. By the end of that year, the Pakistan that had come into being in 1947 was no more. In this golden jubilee year of Pakistan’s creation, the Herald examines the darkest chapter of our country’s history, focusing on the ten crucial days leading up to action taken by the army. On March 25, 1971, General Yahya Khan launched Operation Searchlight, sending in troops to quell the rebellion in East Pakistan. That year, the idea of a united Pakistan finally faded into oblivion and, on December 16, 1971, a new state was carved out of the eastern wing of the country. The drama unfolded in four stages. The December 1970 general elections saw the Awami League emerge with a massive victory. Tense political bargaining followed, involving Yahya Khan, Sheikh Mujib and Zulfikar Ali Bhutto, who had received a thumping mandate from the country’s West wing. Meanwhile, Mujib ruled East Pakistan virtually independent from the centre. 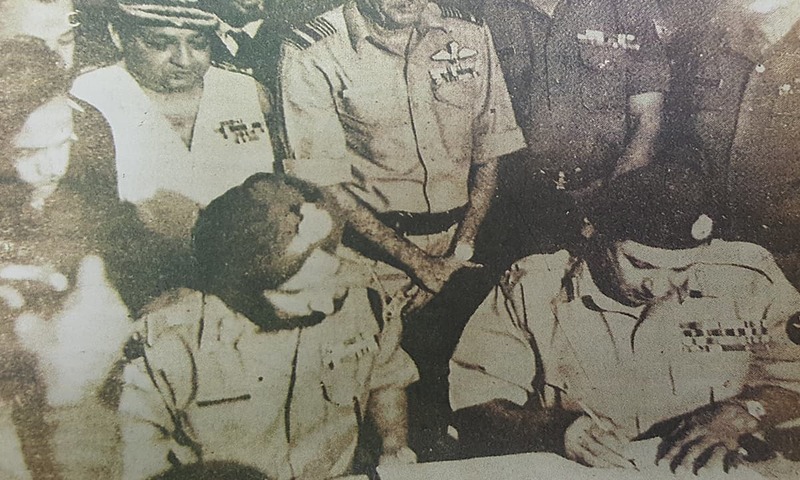 Finally, military action was launched against the rebel province, leading to the massacre of thousands of Bengalis and the eventual surrender of Pakistani forces to the Indian army. The Herald travels back in time to re-examine history, tracing the dramatic events of 10 crucial days in March 1971 which led to the dismemberment of Pakistan and the birth of Bangladesh. In December 1970, the first-ever free elections were held in Pakistan. The Awami League, led by Sheikh Mujibur Rehman, swept the polls, winning 167 of the 169 seats allocated to East Pakistan in a combined house of 300. This massive victory gave the Bengali nationalists an absolute majority throughout the country and entitled them to form the central government. It also confirmed the worst fears of the establishment, which had for years maneuvered to deny the East Pakistani majority the right to power. In the intervening period a tense drama unfolded. Mujb was virtually running the show in the East and public opinion in West Pakistan was whipped into a frenzy. On March 2, 1971, the illusion of a united Pakistan was already beginning to fade. On March 6, Yahya Khan declared: Let me make it absolutely clear that no matter what happens, as long as I am in command of the Pakistan Armed Forces and head of state, I will ensure the complete and absolute integrity of Pakistan. As expected, Mujib reacted with equal vehemence. On March 7, he demanded the immediate withdrawal of martial law and the transfer of power to the elected representatives of the people, threatening to boycott the National Assembly session. He also bitterly criticized Zulfikar Ali Bhutto for obstructing the transfer of power. For his part, Bhutto maintained that majority rule would only be possible if the Awami League agreed to drop its six-point programme, which demanded much greater autonomy for East Pakistan. Bhutto insisted that before a new constitution was framed, power should be transferred to the two majority parties of the country, his own Pakistan People’s Party in West Pakistan and the Awami League in East Pakistan. Faced with the Awami League’s legislative strength and Mujib’s de facto assumption of power, Yahya Khan rushed to Dacca on March 15 to work out a political settlement. By March 20, the negotiating teams of the Awami League and Yahya Khan had agreed on a draft proclamation containing the outlines of an interim arrangement for the transfer of power. But this agreement was not acceptable to Bhutto, he suggested that either the National Assembly session should be called first, or he should be allowed more time to negotiate directly with Mujib. On March 21, having received satisfactory clarifications, Bhutto joined the Dhaka negotiations. These proved to be inconclusive, and the National Assembly session scheduled for March 23 was postponed once again. On March 21, a draft presidential proclamation prepared by Colonel Hassan, a member of the official negotiating team, was handed over to the Awami League. After examining this document on March 22, the Awami League team met Yahya’s team the following day. When they arrived, they were told that the Six Point Scheme could come into effect with some minor practical adaptations. At this stage, it was proposed that, in order to examine the implications of the financial and economic provisions of the proposal, M. M. Ahmed should sit separately with the Awami League team. The Awami League team members initially refused to accept the proposal because they felt that Yahya’s advisers were trying to prolong discussions on each clause in order to buy time for the military crackdown. However, they finally agreed and March 23 was spent in discussions. By the next evening the Awami League had concluded discussions. However, a clause-by-clause reading of the entire draft proclamation remained to be finalised. The Awami League proposed that Mujib’s close aide and respected lawyer, Dr. Kamal Hosain, and Justice Cornelius, the respected jurist, sit together through the night of March 24 and finalise a draft that could be put before Sheikh Mujib and Yahya the next day. It is on record that Justice Cornelius agreed but Yahya’s aide Lieutenant-General Peerzada held him back, saying, “No, we may discuss for a while, then we may meet tomorrow morning.” When the Bengali team suggested that a time be fixed for the following day, Peerzada again intervened to say that this could be arranged by contacting him on the telephone. The Awami League team waited all day for a call from the official team which never came. With each passing day, the mood of confrontation intensified. The impasse was finally broken with the decision to employ a military solution to the crisis. Many believe the military option was part of a well-considered policy. At the time, the general opinion in West Pakistan was that army action had been a necessary preemptive strike to check the Awami League’s conspiracy to dismember the country. However, world opinion widely maintained that Yahya deliberately dragged his feet on the talks with Mujib in order to prepare for a military operation. On March 24, leaders of the minority parties, as well as some members of the PPP left Dacca. However, Zulfikar Ali Bhutto and a few other PPP leaders stayed behind. Bhutto was still in the city when the holocaust began. He recalled: At about 10.30 at night, after finishing our dinner, we went to our rooms. An hour later we were awakened by the noise of gunfire. A number of my friends came to my room and we saw the army in action. We witnessed the military operation from our hotel room, for about three hours. A number of places were ablaze and we saw the demolition of the office of the newspaper, The People. This local English daily had indulged in crude and unrestrained provocation against the army and West Pakistan. With the horizon ablaze, my thoughts turned to the past and to the future. I wondered what was in store for us. Here in front of my eyes I saw the death and destruction of our own people. It was difficult to think straight. Many thoughts crossed my mind. Had we reached the point of no return or would time heal the wounds and open a new chapter in the history of Pakistan? How I wished I knew the answer. 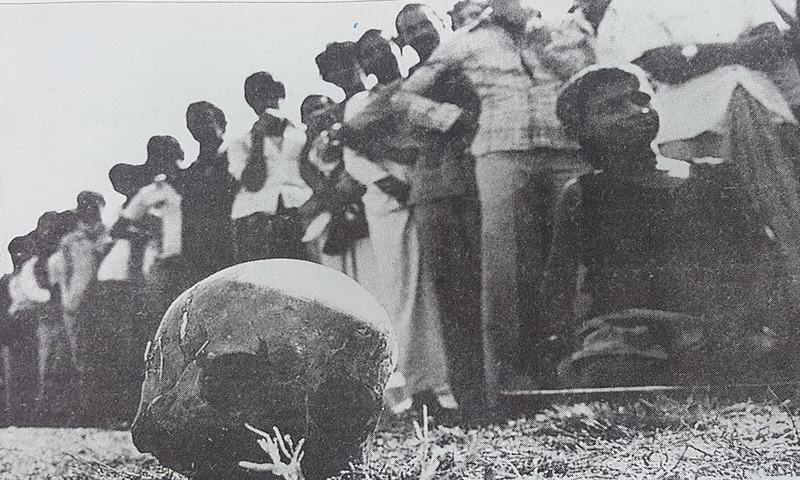 Despite his philosophical concerns regarding the move, Bhutto maintained that military reprisal had been necessary: If the regime had not acted on the night of the 25th, on the following day the Awami League would have declared the independence of Bangladesh. Everything was made ready for it the state of their armed preparedness, the concentration of their forces and the barricades on the streets were visible proof of this. The general strike called for the 27th was obviously a blind to lead the regime astray. The intention was to proclaim the independence of Bangladesh on the 26th of March after Friday prayers. 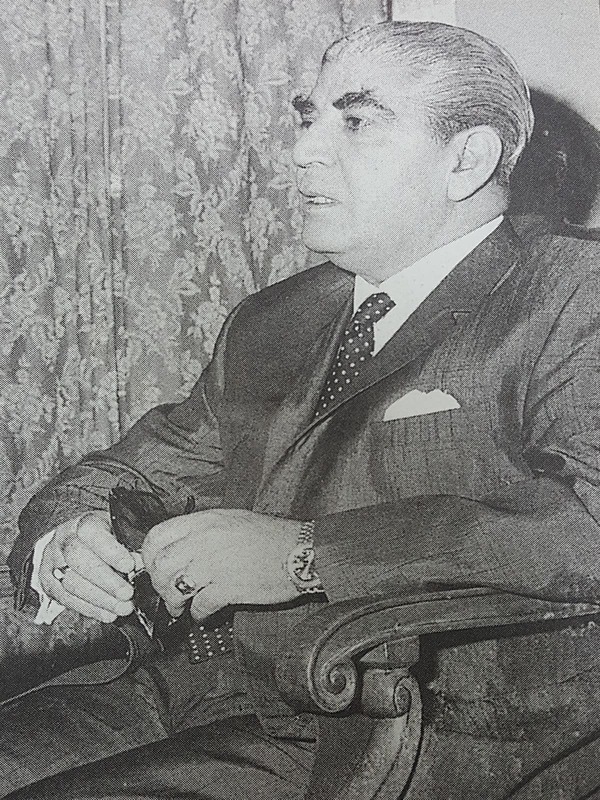 On March 26, Yahya Khan proclaimed: I have ordered them [the armed forces] to do their duty and fully restore the authority of the government. Two years to the very day after proclaiming martial law and pledging, as he put it, to strive to restore democratic institutions in the country, General Yahya found it necessary to deploy the armed forces against the people of one province and to ban the political party which had secured an overall majority in the National Assembly. It is said that while leaving for West Pakistan, Yahya Khan told General Tikka Khan at the Dhaka Airport on March 25: Sort them out! In the ensuing weeks this phrase was on the lips of many army officers. This article was published in the Herald's April 1997 issue. To read more subscribe to the Herald in print. Lies after lies.."how can it be genocide"! !how can he just say like that. "Twenty-six years ago, on March 25,1971" - ???? Good article but ended abruptly. Pakistan is past 1971. 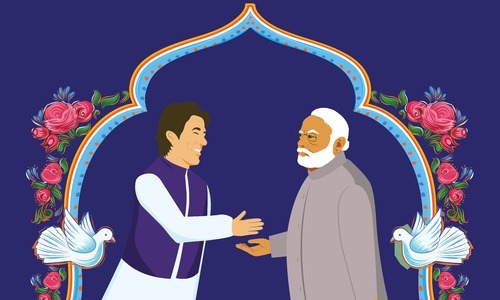 PM IK is in charge. This is a stronger more confident pakistan, recent events should have proven that. Hamidur Rehman report is not disclosed to people. @Zak really?? what a joke!! @Amrendra Kr Srivastava This article was published in the Herald's April 1997 issue. To read more subscribe to the Herald in print. Shame that the article does not show efforts of the Mukti Bahini fighters.